When the Great War began in 1914, one political party controlled all state legislatures in the U.S., save Montana. Nearly 104 years to the day of the war’s end, one political party controls all state legislatures, save Minnesota. And one party holds more state government trifectas and triplexes than states with divided governments. The 2018 midterms “consolidated partisan control of states more so than any election in over a century,” Tim Storey and Wendy Underhill at the National Conference of State Legislators (NCSL), write. After Nov. 6, one political party now controls all state legislatures, excluding Minnesota. Democrats control 18; Republicans control 31. More Republicans hold trifectas than Democrats and state government triplexes, reversing a trend that was first tracked by Ballotpedia in 2010. Historically, roughly 25 states have held trifectas at any given time, where one political party holds the governorship, a majority in the state Senate, and a majority in the state House. The other half are divided, where executive and legislative majorities are split among political parties. Ballotpedia, a digital encyclopedia of American politics and elections and a nonpartisan, nonprofit organization, notes that in 2010, there were 25 divided governments and 25 trifectas, with the majority (16) held by Democrats. After the 2018 midterm elections, there are now 13 divided governments and 37 trifectas, with the majority (22) held by Republicans. The numbers could change slightly depending on the outcome of contested races in Georgia and Florida. The implications are numerous, Sarah Rosier, Ballotpedia’s news editor, told Watchdog.org. “Partisan control consolidated at the state level makes it easy to get policies implemented,” Rosier said. In 2018, Republicans lost four trifectas and Democrats gained six. States that were previously a divided government and became a Democratic trifecta are Colorado, Illinois, Maine, New Mexico, New York and Nevada. Kansas, Michigan, Wisconsin and New Hampshire were previously Republican trifectas and are now divided governments. Compared to the 2010 midterms, only eight states held divided legislatures, and Democrats lost 24 chambers. “On average, 12 chambers change party hands in every two-year election cycle back to 1900,” NCSL adds. In 2010, 12 state governorships flipped from Democratic to Republican. The GOP held onto 11 of them in 2014, losing Pennsylvania. Currently, 34 out of 50 state governments are triplexes, when one political party holds the offices of governor, attorney general, and secretary of state. All three executive offices exist in 47 states with the exception of Alaska, Hawaii and Utah, which do not have secretaries of state. Republicans hold a majority in state government triplexes, 19, compared to 17 held by Democrats. Going into the election, the split was 22 to 12, with Republicans holding the advantage. 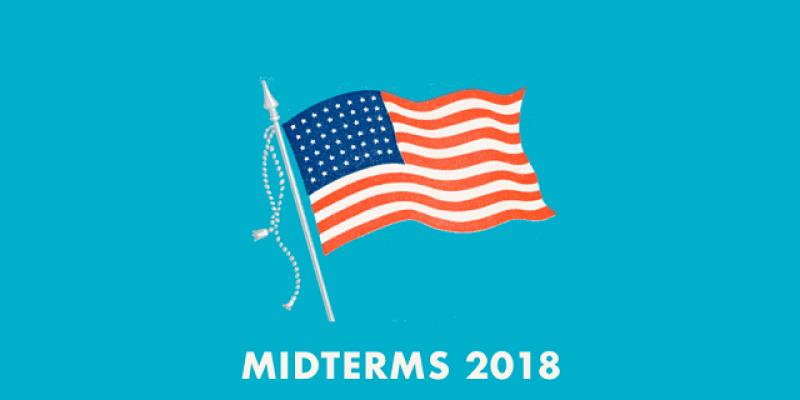 In 2018, Democrats gained five triplexes and Republicans lost three, with two now undetermined depending on the outcome of Florida and Georgia elections. Democrats gained triplexes in Colorado, Illinois, Maine, New Mexico and Wisconsin. Republicans lost Kansas, Nevada and North Dakota. In states where the governor appoints the attorney general or secretary of state, Ballotpedia defines the triplex according to the party held by the governor. “In states where these officers are not all from the same party, differing political views often bring them into direct conflict with one another,” Ballotpedia adds. Conversely, all three executives being from the same party lessens the likelihood of conflict. The party of the president had lost seats in 27 of the 29 midterms since 1902, NCSL notes, with two exceptions. In 1934, during the Great Depression, President Franklin Roosevelt’s Democrats won by large numbers, and in 2002, after President Bush declared war after 9/11, Republicans made gains.